* Total number of reviews and star-ratings are based on data collected during the time period Michael's Plumbing of Central Florida, Inc has been using the ReviewBuzz system and may not directly match the data found on each public review site. Patrick and Mike are wonderful persons . they make the job fun. they do a terrific job. I highly recommend Patrick for his professionalism and his sense of humor. they are great. they are patient and explain every detail. This is not the first time that Jim and the office helped me with problems. Jim does know how to fix issues and their service for me has been perfect! Thanks Jim, and Ruth! excellent...answer all my questions..and explain how they work.. The plumber they sent out was awesome. Very helpful and informative. John Spadafore was very informative and friendly and knowledge. He arrived at the specified time. Terrific service and very professional. If we have more problems in the future we will call you again. Thank you. Michael was great real informative and help. I would definitely recommend any to him. John Spadafora was great. He was fast and very helpful. Had a ton of knowledge and made sure he walked us through the process step by step and checked his work thoroughly. Dayna was very courteous & appointments were within the window given. Call was 4 my water heater. After putting in new thermostats & a heating element still no hot water. So Jim said 2 call an electrician. Terry's Electrical sent 2 electricians & charged me $240 to tell me in less than 1/2 hour that the problem was not electrical. The electrician did talk with Jim explaining what he found. Another appt was made with Jim 2 come back the next morning. Jim showed up on time, replaced thermostat, still no hot water. Jim then called GE that made the heater & they talked him thru. He then discovered a wire from the thermostat to element was bad. Once wire was replaced we had hot water. I applaud Jim 4 his persistent. Though we were out of hot water for 48 hours I wish he would have called GE the first day instead of having me call an electrician. Could have saved $240, but I'm very thankful 2 have hot water. When called and requesting an estimate I was accommodated within one hour. A leak specialist was there at the front door ready to inspect the house and gave me a quote and was finished within 30 minutes. He was very particular in not messing the house up. He was extremely polite and professional. I would highly recommend Michael's Plumbing. The quote was very reasonable. Again, I highly recommend this company. I used Michael's Plumbing for An Occurrence of water leaking from somewhere near my 3 year old water heater and 2 year old washer. It was a Saturday night and the worker had three people ahead of me. He told me what to do until a service person could be there Sunday morning. I was called Sunday morning sent an email with a picture of the person coming, and he quickly assessed what the difficulty was, and cleaned out a drain. They have come to my rescue on more than one occasion. The workers are professional and courteous. They will be my first call in the future as they have been in the past. Excellent response and professional services. Made online request last night and got phone call first thing in the morning. Patrick arrived at my house at 10AM and did an excellent job. Finished at 11AM. Could not ask for any better service. Definitely contact Michael's Plumbing for future needs. In fact, I already recommend them to my next door neighbor who will call them soon. Customer service is always a top priority at Michael's Plumbing of Central Florida, Inc. Our BBB Membership A+ rating is like a badge of honor as we continuously strive to provide the best experience for our clients. John M has a 5-Star rating and leads the company in total reviews, making this pro a ReviewBuzz Rockstar! Formally from Virginia Beach, VA, my wife and I moved to Orlando, FL in 2004, which we now call home. Some of my interest are: fishing, swimming, bicycle riding, basket ball and most of all spend time with my family. My goal is to continue to learn as much as I can about the plumbing industry. Had a leak on Super Bowl Sunday and was very happy to reach someone and have them come out. They did a wonderful job. I did think it was pricey, even with the extra charge because of Sunday. but again glad to have it fixed. Awesome service where here within the hour. John was very friendly! I had an emergency and they were able to get to me quickly! Michael's Plumbing has been our plumbing company for 10 years. They do a great job, and if there is anything wrong they stand behind their work. Michael's Plumbing is awesome. Excellent work done professionally, quickly and priced fairly. What a sense of relief when they finish and go over everything with you! Trustworthy and responsible, courteous and friendly. God bless them! John M. of Michael's Plumbing arrived on time. He explained the cause of my problem and told me how much the repair would cost. John did the job in a very professional manner. He completely cleaned up the work area before leaving. This is the second time we have used Michael's Plumbing and we are very pleased with their work and professionalism of their employees. Same day service and rep was very professional and provided food for thought regarding future tips. Will certainly recommend to friends and family. Michael's Plumbing and staff. Excellent rati g, very quick to respond. Used twice and highly recommend. I had a plumbing emergency near the end of the business day. Called a couple of other businesses that wouldn't come out until the next day - not even in an emergency. (We had to turn the water off to the entire house). John M of Michael's Plumbing extended his day and came to the rescue. He quickly resolved the problem and defused our tension (from the initial emergency) with his great humor. I will be calling Michael's for any future plumbing needs. It was 1 AM and we were dealing with a water leak. I contacted Michael’s Plumbing after looking through the reviews. They were courteous on the phone and John M arrivedion time. He was professional and explained everything he was doing. It was fixed in less than an hour. I would definitely recommend Michael’s Plumbing. John the tech from Michael's Plumbing was right on time, answered my questions, gave me some pointers for the future service, townhouse is 18 hours old, it's going to need work. Thank you for great service, the other companies that I called never gave me a call back. The dispatcher communicated clearly with me about when I could expect the plumber. The plumber (John M.) came not only right on time, but a couple of minutes early, which never seems to happen with home repair services. He diagnosed and fixed the issue quickly, quoted a reasonable price, and gave me advice for saving money on repairs in the future. I'll definitely be calling them next time I need a plumber. Last weekend my water heater broke and I had water running through my garage and soaking the boxes that are there. I called the company that installed it but there was no response. When I called Michael's Plumbing on Sunday morning, the receptionist returned my call immediately. She told me there was a technician on another job and he would come to me next. He arrived, shut off the water and explained my options. I decided to purchase a new one and he had it available on the truck. He was able to remove the old water heater and install the new one in a short time. He answered all of my questions and explained maintenance on the new one. I have already recommended Michael's Plumbing of Central Florida to one of my neighbors and would definitely recommend them for any plumbing issues you may face. I will call them for any other plumbing problems in the future. Thank you for great service! John Myers was my technician. He was very personable and had me turn on all the faucets to get the air out of the system and to be sure that I was happy with the temperature of the hot water. 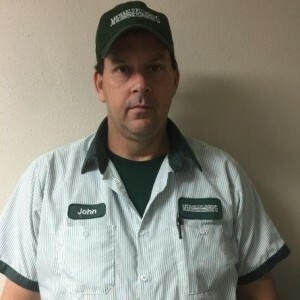 Thanks John for great service! Michael's Plumbing was great to do business with. John M**** was my tech. He was very polite and answered all my questions. I will refer all my friends to Michael's Plumbing in the future.